Hyundai Motor UK asked us to undertake a comprehensive study of dealership customer experience at franchised sites in the UK. The goal was to solve customer problems, improve the experience and reduce waste. The Hyundai team also asked us to investigate the cause and impact of parking problems at some of its sites. The project serves as a good case study for any dealership wanting to improve customer experience at its physical locations. Complaints about parking have been common for many car dealerships in Europe for some time. This means that any solution that improves customer parking presents an opportunity to differentiate dealership experience within a competitive marketplace. 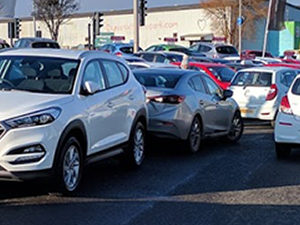 Hyundai had seen a flow of complaints from customers about parking difficulties at some of its franchised sites for many years. In addition, the CX team suspected that parking problems were a cause of inefficiency for dealerships. 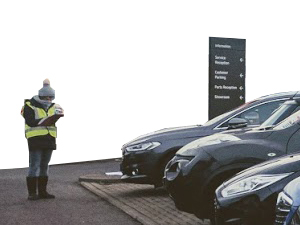 As costs of non-productive time caused by parking were unknown, dealership teams did not think there was a big enough problem to take action. What’s more, there was a perception that some sites simply lacked enough space to allow all dealership teams to be efficient. In those cases, the general perception was that nobody would be able to solve parking problems without acquiring more land. Neither Hyundai nor the dealerships knew if their perceptions were true. Nor did they know if there were other root causes contributing to the parking problem that they could address without having to get more space. Neither had a way of measuring the benefit of any improvement to justify the cost of any action. 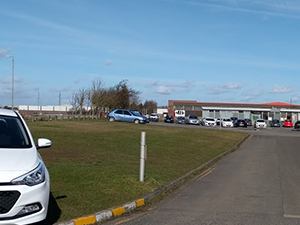 In addition, the parking problems seemed to solve themselves by the end of each day once the peak time for numbers of vehicles on site had passed. This meant dealerships had felt little incentive to do anything about the problem. Our challenge was to ‘discover‘ all the different types of journeys that customers who visited the dealership undertook. Another was to ‘decode’ the experiences of ‘real’ customers at each journey stage. A third challenge was to understand the ’employee experience’ of parking to determine the root causes of problems. Finally, we needed to collect information in enough detail to be able to measure the impact problems were having on business. To meet these challenges we needed to get insight and data that neither the dealerships nor Hyundai had had before. Interviewing happy and unhappy customers as well as employees about their ‘real’ experiences was essential. We also had to capture analytical data that we could use to better understand the patterns and nature of demand placed on the dealership. In addition, the data needed to give us a way of measuring the experiences that customers were being given. Important too was to structure the information we gathered in a way so we could use it to quantify inefficiency and non-productivity. This would enable us to express waste and potential benefits in financial terms. We also needed to make sure the data was suitable to compare dealership performance across the network. We developed our ‘Dealership Discovery’ programme to meet all these challenges. This focused programme of research enables a better understanding of the end to end customer journeys at dealerships. The programme gives us deep insight into both sales and service customer experience as well as employee experience. The practical study activities can be learnt quickly and adapted to the characteristics of any dealership site. The programme will also ‘decode’ the causes and effects of dealership inefficiency such as poor space management. It can be used to identify wasted customer and employee time, and the inefficient use of resources. Finally, it allows dealerships to express waste in metrics that show the effect problems are having on profitability. As the Hyundai team had suspected, we found many opportunities to improve the customer journey. These included simple changes to parking flow management that would significantly improve customer experience and reduce wasted employee time. In a physical retail environment, it is very difficult to calculate the financial impact of negative customer experience. There is usually no way of measuring lost or reduced sales. Likewise, this cost is invisible at most dealerships and can explain why some dealerships take little action. In a ‘bricks and mortar’ retail store, a well-planned programme to improve experience will create a ‘rising tide’ that can increase sales by more than 5%. We expect dealerships would see similar results from such a programme. With new information, it was easy to show that poor customer journey management was having an effect on sales. We had counts for both customers that we had observed experiencing difficulties parking, and for those who had told us that parking had made them feel stressed. Customers told us that this left them less likely to buy, renew contracts or recommend friends or family to visit. We had also counted customers who had abandoned visits and left. These were simple metrics that we could use as baselines for improvement and compare performance. Using analytical study data we could estimate the costs of wasted employee time. We had timings and counts for activities to move vehicles, look for spaces, or walk excessive distances. On some sites, the annual cost of non-productive technician time alone exceeded £20,000. Dealerships have been routinely accepting these hidden costs as part of business as usual. It was clear from our conversations with customers and employees that there were gaps between what each thought about the different experiences at the dealerships. This was particularly evident when we discussed parking. 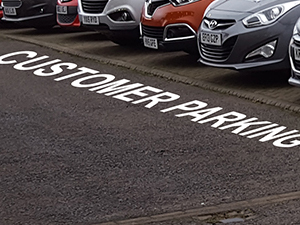 At one site, 95% of customers thought parking was important, 70% did not find parking easy, and 66% told us they felt parking affected buying decisions. In contrast, dealership employees felt customers complained too easily. Also, no employee felt responsible for solving parking problems or making experiences better. Closing ‘service gaps’ like this presents an opportunity for many dealerships to align their employees around the goals of customers. The main outcomes of our study were solutions that would solve problems, reduce waste and improve the customer journey. We developed a model for efficiently managing dealership space that would also solve parking problems. We called this model ‘Parking Flow Management’ and developed a practical ‘toolkit’ for implementation. The model can be quickly adopted and easily adapted to different sites. We expect it to deliver benefits to a dealership in just two weeks. Using the robust data we had collected, we calculated the ROI of implementing our solutions. This formed an essential part of a business case for taking action. The sites we had studied acted as dealership customer experience case studies for other sites across the network. For implementation, we developed a practical approach based on project management better practices. Our implementation ‘road map’ started with a proof of concept project at a pilot site to validate the business case. ‘Early adopter’ sites would follow and as reference and support to a ‘roll out’ across the network. Market research regularly identifies what customers find frustrating about automotive retail and service customer experience. Frustrations constantly change as better experiences with other industries raise expectations amongst customers. Today most dealerships have many opportunities to reduce customer frustration. We think priorities should be making service more convenient, eliminating stress from pricing, and reducing the time it takes to complete a car purchase at the dealership site. As we found with parking problems, the starting point for any next initiative should be the collection of useful information. This will give a better understanding of the causes of problems and the effects on experience and profitability. This is what dealerships need to measure opportunity in a practical way that clearly justifies action for all stakeholders. To do this we recommend more Dealership Discovery. Research into the customer journey experience at dealership sites. The identification of different customer journeys that physical dealerships have to support. Captured detailed data to understand levels and patterns of demand for different journey types and identify peaks and troughs. Accurate counts for service abandonments and customer walk-aways and root causes for why they occurred. Observation of customer behaviours during their journeys and employee behaviours during service interactions. Identification of constraints caused by spatial layouts, processes and technology such as ‘pinch-points’ and ‘bottle-necks’. Insights from customer and employee interviews. The identification of service gaps between customer and employee expectations and perceptions, and actual experiences. Improvements to the customer journey – conceptual journeys, quick wins and opportunities. ‘Parking Flow Management’ model’ to solve parking problems, reduce waste and improve the experience. Implementation ‘road map’ – a practical project management approach to implementation. Dealership customer experience case studies to use to create momentum across the network.